Guduvanchery is a rapidly growing residential town, which is located in the southern fringes of the Chennai city. Located strategically, the area has easy access to the National Highway 45 that connects the cities in the southern parts of Tamil Nadu. Over the past few years, Guduvanchery has been witnessing a great residential demand owing to the infrastructure growths and development of Special Economic Zones (SEZs) and IT hubs near locality. The real estate developers in the Chennai city have been engaged in constructing new residential apartments in Guduvanchery. As the area has vast range of unutilized lands, the commercial and residential developments will be remarkable at the subsequent years. Eventually, the capital appreciation of the individual houses and residential apartments in Guduvanchery will even increase further at the time. Thus, if you are looking for a best option for property investment in Chennai, the individual houses or apartments for sale in Guduvanchery is the ultimate choice. 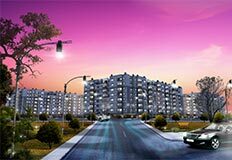 The range of residential properties in Guduvanchery includes gated community residential apartments, row houses, independent villas and individual houses. 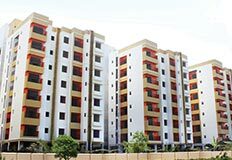 With the advantage of close proximity to the industrial hubs, the demand of the residential apartments of individual house for sale in Guduvanchery have been high among the working professionals, say the real estate experts. The transportation facility is one of the major factors that have played a vital role in increasing the demand of individual houses and residential flats in Guduvanchery. The area keeps the residents well-connected to the major places of Chennai with the presence of Railway Station and frequent bus transportation facilities. Further, Guduvanchery has major educational institutes in its vicinity which includes SRM University and its group institutes: (SRM School Management, SRM Arts & Science, SRM Hospital, Valliamal Engineering College etc.). All these advantageous factors have raised the requirement of independent house and residential flats in Guduvanchery. 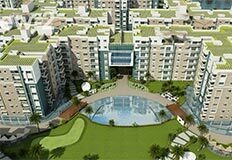 When compared to other types of residential properties, the demand of residential flats for sale in Guduvanchery because of the existence of major IT hubs and industries like Mahindra World City, SEZ, Ford and Accenture. As most of the working professionals prefer living in a modern and lifestyle homes, they look for these residential apartments for sale in Guduvanchery. Besides, the rental demand is also high for these residential flats in Guduvanchery, which makes the property investors to gain more profit by renting or leasing their apartments. These are the major reasons for the increased demand of residential apartments and individual houses for sale in Guduvanchery.